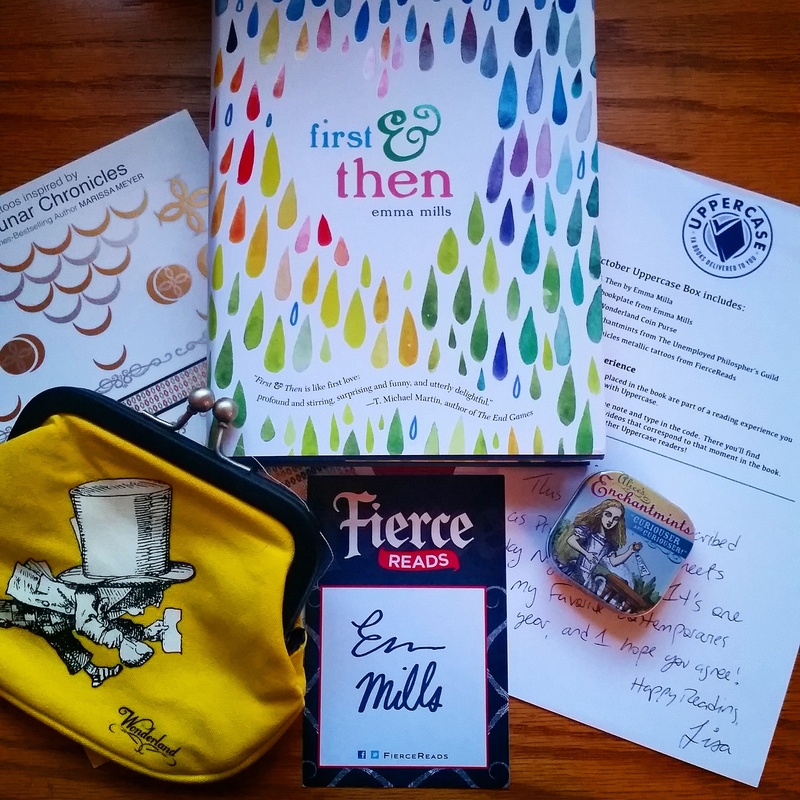 The October Uppercase Box has arrived and it is GORGEOUS! Take a look at the goodies included and all the details from this October run! The book of choice this month is First & Then by Emma Mills. This book is GORGEOUS and I’ve heard such good things about it! Super excited to get into this one. I also love that every month, they (generally) include a signed bookplate by the author and as usual, this month didn’t disappoint! Goodies this month were lovely as well, especially the Alice in Wonderland coin clutch! I love this little bag (yellow is my favorite color) so I’m really excited to use this. Alice in Wonderland mints came as well which was awesome – I can never have too many mints and the container is just too cute for words. And also a page of The Lunar Chronicles inspired temporary tattoos which I shall be turning into some GORGEOUS bookmarks soon! I absolutely loved this month’s box as much as I have the last few months boxes – so glad I’m able to share it with you all. If you’re interested in getting your hands on a future Uppercase Box – head over to their website! This was my first box from them and I loved it. I keep telling myself to save money and cancel, but nope, can’t do it.